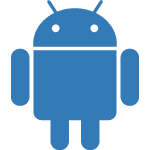 (i) Native Android App Development: These apps are platform specific and written in certain programming development tools and language. Developers use Android studio, Google Material & Java. The native approach has widespread access to device’s hardware & android-specific features. It has to follow specific user experience and technical guidelines and hence they perform better with rendering & animations as compared to Hybrid apps. Our keen sense in offering industry best enterprise level Android development provides scalable, cloud-ready and intuitive apps. The Android team who is behind all the success and glory we have achieved are skilled, certified and well adept in agile methodologies. We have developed apps are the perfect to blend in based on the business requisites of our clients with feature-rich operations to increase their revenue through mobile ready business. We are a name that resonates with Trust, Honesty and service delivery. We as a company easily strike balances in delivering service & solutions, unique business proposals, value creation that enhances brand recognition and awareness. Leveraging our expertise through strong experience in Android App Development paves the way in achieving remarkable success & growth for our client. with End-to-End Android app development services. Android App Major Programming Languages:JavaC, C++,Corona,Phonegap,Titanium,HTML5. Android App Major Testing Tools:Google Android Emulator, The official Android SDK Emulator,MobiOne,eggplant. We craft our esoteric logical approach pertaining to the customized & personalized need requested by our valuable clients. Keeping top-notch quality parameters for years has turned into a habit now and hence, we absolutely like to lend our ears to shape your business plan/idea into reality apps that offer exceedingly well usability and great potential for your business processes. You can expect fully integrated and innovative Android app development proposals from Moon Technolabs. Our attention is to encapsulate on the various & feature-rich Android platform to exponentially expand your presence to global targeted market and respective industry audience.